When I was a kid I used to borrow this book again and again from the local library. The first thing I ever sewed myself was from it. 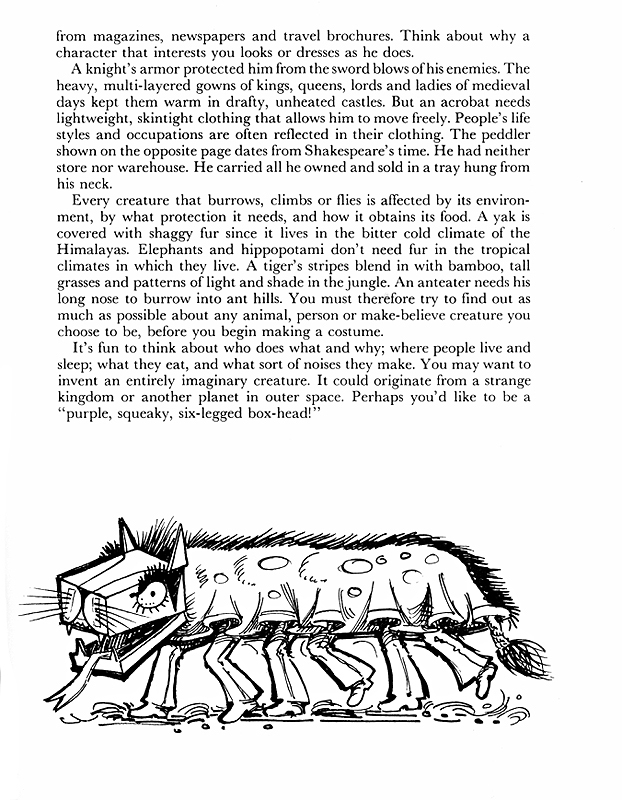 A friend of mine at junior school’s older sister was in a school play of Toad of Toad Hall, and we went to watch. When you’re 7, 13 year olds seem incredibly impressive. What impressed me even more were the weasel costumes. I wanted one for myself. Armed with an offcut of brown fabric and a toy sewing machine I’d got at a bootfair, I made a hood with ears like the ones in the book. It was wonky, and I was a bit ashamed of it though, and wished I knew how to sew straight (looking back, I’m not sure the toy sewing machine was actually capable of a straight seam). My opinion of my sewing projects has improved slightly since. 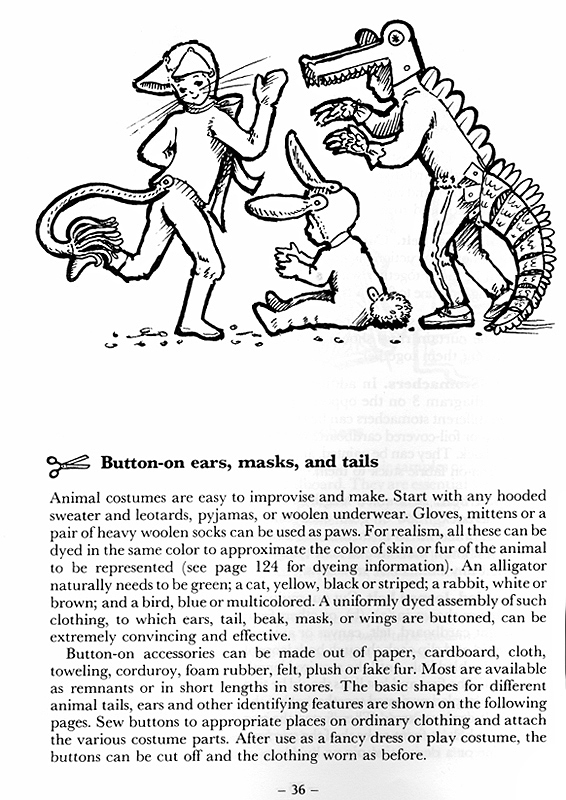 The book pretty much tells you how to make a costume for most things, mostly made of cardboard, papier maché or fabric things which button on, to save ruining an item of clothing. If you want an entire Tudor costume that buttons onto a t-shirt, and then a game to get you into the mindset of the character it’s the book to read. 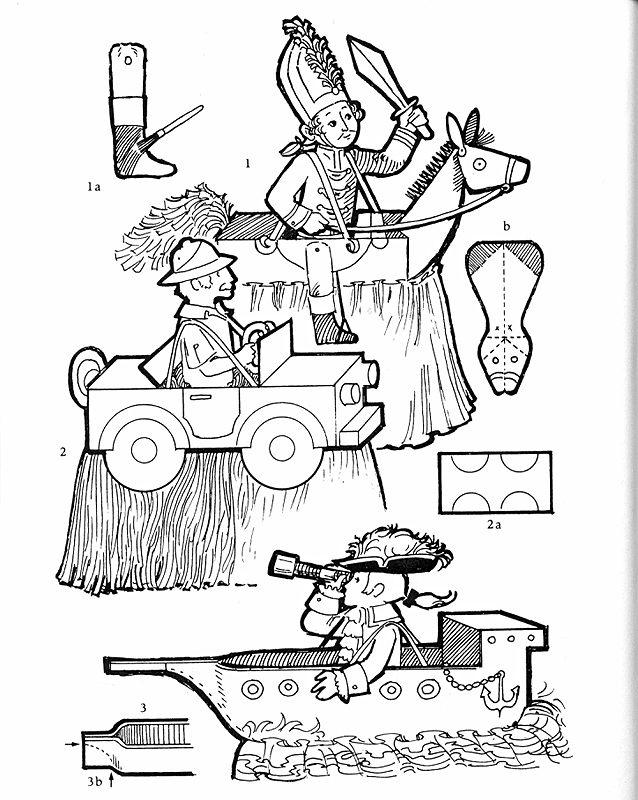 It also has lovely illustrations. 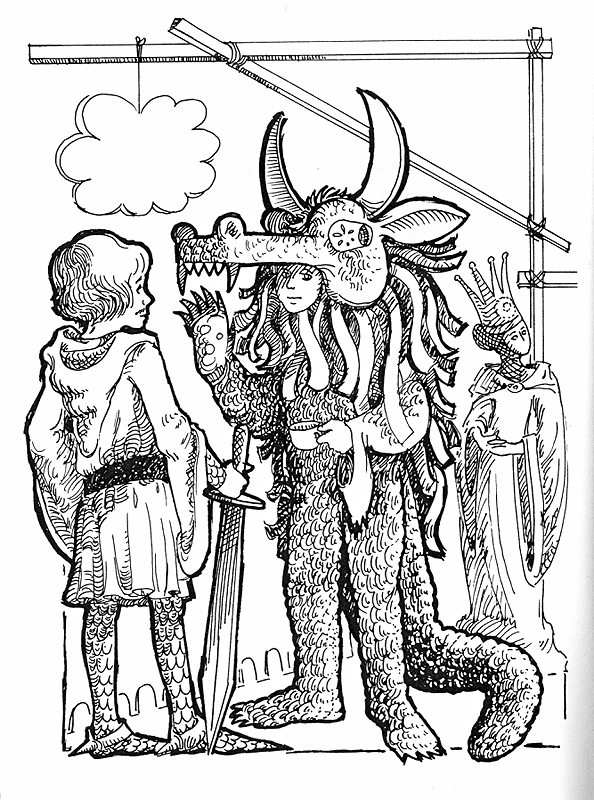 It turns out the author is also a children’s illustrator. 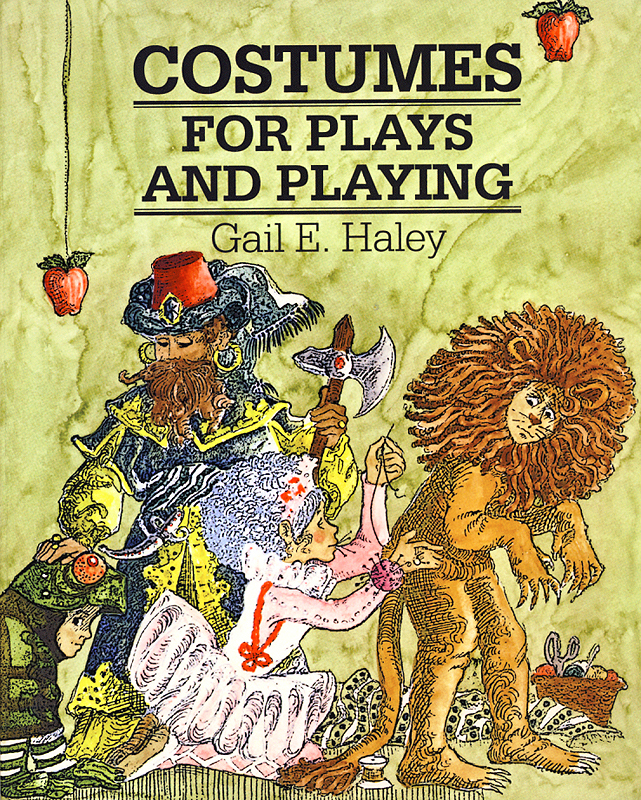 I couldn’t remember the title, and looking on Amazon never gave me much joy, but once I discovered that you could search on the British Library’s catalogue with very vague terms (in this case “costume” and published in the 70s or 80s and various other terms like “plays” “children’s” etc) and get useful results, it didn’t take me long to find, and to purchase a cheap 2nd hand copy online.